In our blog series lately, you’ve heard many of us talking about the intersection of process and knowledge management, particularly in regard to MosaiQ™. 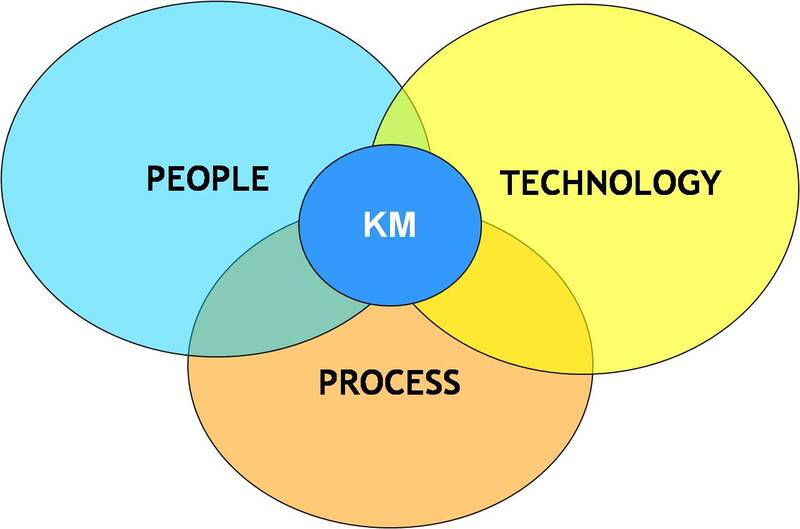 However, the real disparity between knowledge management and process management became apparent to me at a conference last year; during a presentation I gave on effective ways to use process frameworks. During the presentation, we were discussing some survey findings on which key implementation steps most people miss out on when they adopt a process framework. When we got to number four, developing knowledge maps, things started to derail. I was rambling on about knowledge maps, how most organizations lack the standardized documentation necessary to build them, and how they help move organizations from processes that sit on a shelf to something that gets embraced and used by front-line workers. And I realized a sea of blank faces was staring back. Was it something I said? Was I talking too fast and lost them? Then it dawned on me. It was something I didn’t say, some context that I just took for granted. So I asked everyone who knew what knowledge management meant or what a knowledge map was to raise their hands. Out of a room of around 100 people, four tentatively raised their hands—a colleague, two clients, and one knowledge management (KM) professional at the front of the room. At the end of presentation, the KM professional, who was attending the conference to learn about how process management could aid her knowledge management efforts, came by to discuss how thrilled she was with the conversation. What started off as a derailment helped her understand how the process side of the house thinks about knowledge management and how the two disciplines can work together for the benefit of the organization. This intersection of purpose is where the manage component of MosaiQ comes in handy. 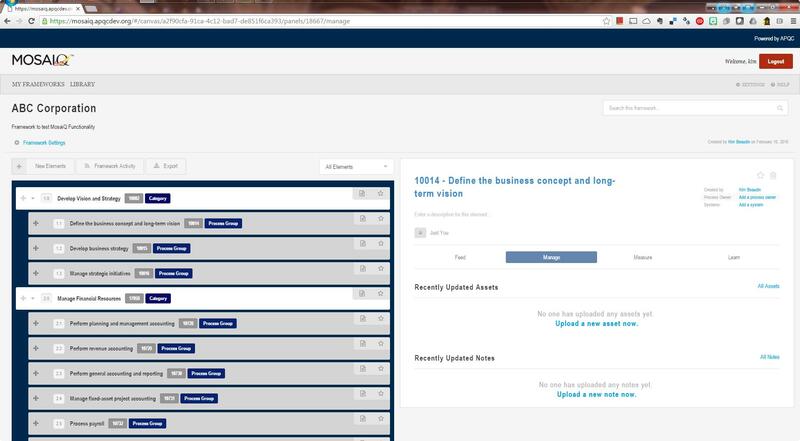 MosaiQ has a built-in repository feature that improves knowledge management in the organization. In the manage tab, you can upload and manage all the relevant documentation that is associated with the appropriate process element. Furthermore, you can control who has access to the documents and you can include notes on the process and document in the same tab, ultimately tying knowledge to process, improving accessibility, and promoting knowledge capture and sharing in one centralized location. MosaiQ will be available to APQC members on March 31, 2016. For more information on MosaiQ, email mosaiQ@apqc.org. You can also join APQC’s Process Classification Framework on LinkedIn to connect to people committed to improving processes and follow me on Twitter @hlykehogland.